glass project from showers to transoms. If you have an idea for a design, I can create it for you. The most popular designs come from design elements that you already have in your home, such as wallpaper, tiles, pictures, wrought iron or wall hangings. If you want a design but you don't have one in mind, I have several designs on this site. Take me to the designs. There are literally millions of designs in the world today. It would be impossible to have them all here. It is much better to have you look at a small number of designs to get a feel for the direction you would like to go. I find it best for you to have a sample of the design before making your final choice. 2. Decide how you want the design etched. I use the term regular etch when I etch the design only. The rest of the glass stays clear. This is when you are going for decoration. Most of the etched and decorated glass you see is regular etch. 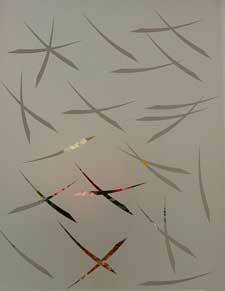 Pattern glass comes in a diverse range of patterns. 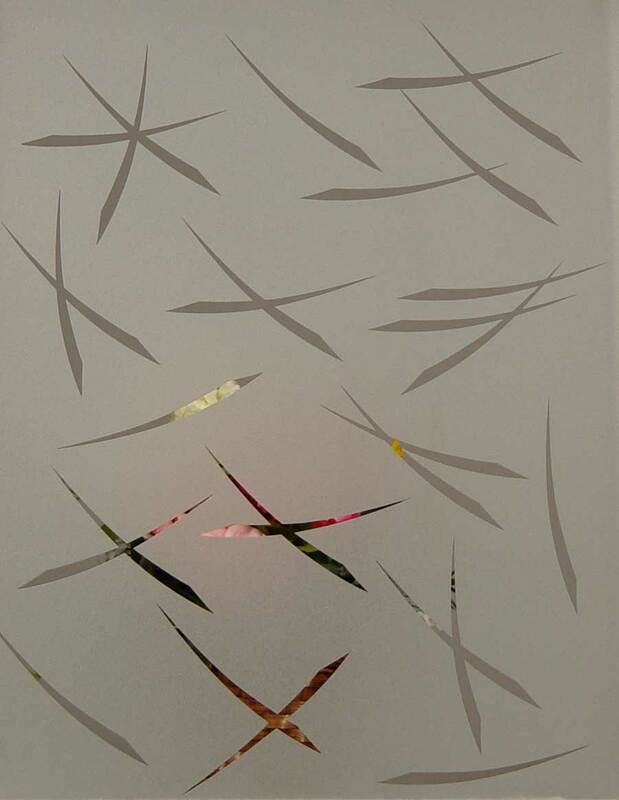 Pattern glass can provide more privacy. Some of the patterns are very elegant. This could be used when a little more privacy is desired. A custom etched design will make the glass personal and unique. The sample shown is glue chip glass. The etching is on the same side as the glue chip. That is because it was a sample for shower door. You may not be able to tell from the photograph. It could be done this way on a window insert. [See installation] This would make cleaning the glass easier. For a pantry window I would put the pattern on the inside and the etching on the outside. 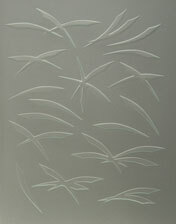 Not all pattern glass can be etched on both sides. This is when a design or repeating pattern is etched on the back. It is used to block the view through the glass. This is best used when you want to only slightly obscure the view. It creates the look of a deeper or more 3-dimensional effect. The design is then etched on the front for the decoration. This is illustrated by the pantry etching. 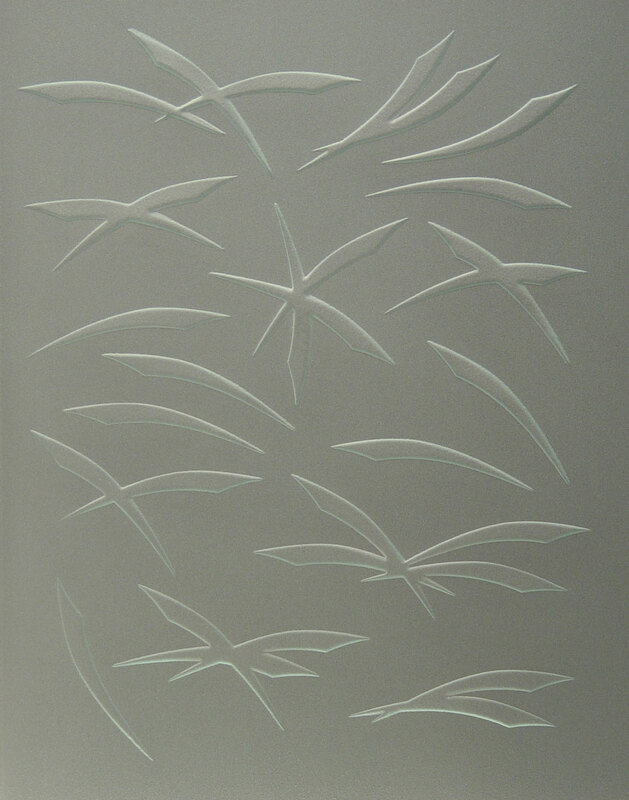 In a reverse etch pattern the design is left clear and the background is etched. This type of design works well when you don't want people to see in but you want to be able to see out. To see through the glass you must be very close so you can look through the clear spots. The farther away you get the harder it is to see in. This type of pattern and design work well in door-sidelights. There are two kinds of carved glass. The first type is a simple two stage sandblast. The first stage is the design being deeply cut into the glass. The second stage is the rest of the glass being etched. The picture to the left is a simple two stage blast. The second type is when each small piece of the pattern in carved one after the other. It takes careful planning to shape the design so it looks 3-dimensiona. The rose on the right was carved this way. This could be my personal favorite. It allows glass to have a 3-dimensional look without blasting into the glass. This way tempered glass can be shaded. The picture to the left is a sample of a shaded design. If you will look at the flowers at the bottom you can see how shading makes them come alive. If you look at her arms, you can see the muscle tone. One of the things I like the most about shading is that it can be combined with regular etching. It can also be confined with carving. In the picture to the right I have combined carving,shading and regular etch. I think the only way to make it better is to add a little color. Custom glue chipped glass is another option. 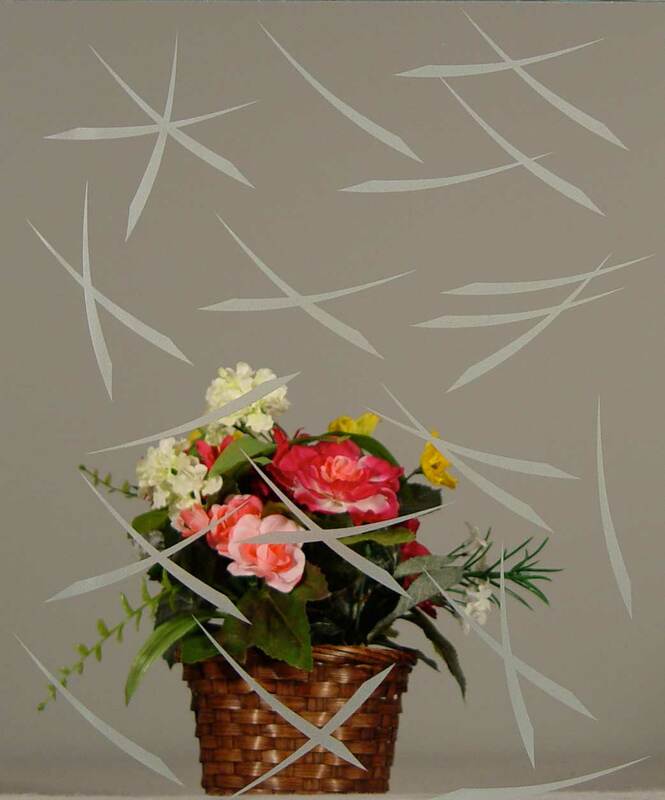 Glue chipped glass can be used to create borders and backgrounds. Glue chipping glass by hand usually produces uneven characteristics. One of the coolest things about glue chipping is that you can repeat the process and get deeper results. 3. Decide if you want color. The main problem with glass for Designers has been the green tint to the glass. There is now starphire glass from PPG that has no green tint. There is now glass paint that is formulated for glass that is fade resistant and bonds to glass without primer. If you are wanting to add color to your room, this is a very significant break through.